Do cruise ships endanger historic Charleston? 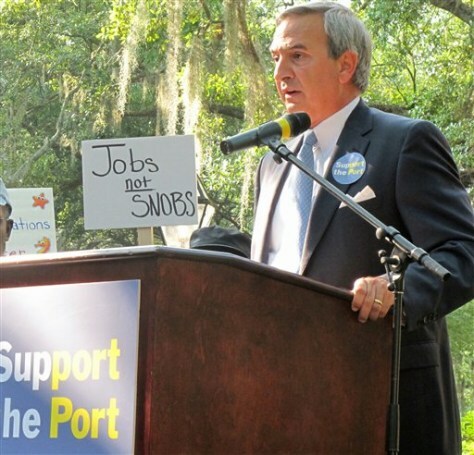 Jim Newsome, the president and CEO of the South Carolina State Ports Authority, addresses a rally in support of the state's growing cruise industry May 9 in Charleston, S.C. The South Carolina State Ports Authority has started design work for its new $25 million terminal for the state's the growing cruise industry.